Fenwick is a borough of one of the oldest towns in Connecticut, Old Saybrook. 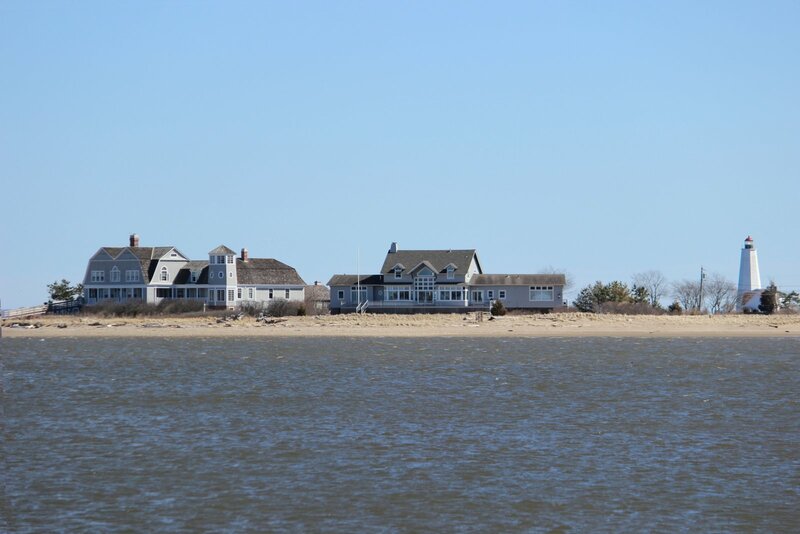 A summer colony since the late 19th century, it currently consists of 77 houses that sit on 238 acres at the mouth of the Connecticut River. Architecturally, it is known for its Shingle Style cottages. The 9-hole Fenwick Golf Course was first laid out in the 1890's and updated in 1930. Ellsworth Grant would sometimes refer to Fenwick as 'Hartford on the Rocks'. ...The subject of many oil paintings and license plates. ''If one of the children needs a drink of water, they just knock on the door of the nearest house.'' - E. Clayton Gengras Jr. The public tennis courts date back to the 1930's. Fenwick is perhaps best known to many as the home of Katharine Hepburn. ... cause many to recall wistfully its former low-key charm, seen in the photos below from an old copy of The Private World of Katharine Hepburn. "To me it is --well, as I said--paradise. I was and am nothing special here. I've been here since I was six." - Katharine Hepburn, Me : Stories of My Life. "As a kid, I lived the most thrilling life with my friend Alice Barbour. We were secret housebreakers. Never destructive, but could always manage to find a way in." - Katharine Hepburn, Me : Stories of My Life. A causeway connects Fenwick to the downtown of Old Saybrook. The Saybrook Colony (founded 1635) merged with New Haven Colony (founded 1638) and the Connecticut Colony in Hartford (founded 1636). Lion Gardiner was hired by Winthrop the Younger in 1635 to build a fort at Saybrook Point to protect the settlers from the Pequot. Nice pictorial of Fenwick and Old Saybrook. I stole my first kiss on the Fenwick golf course. Still think about that girl from time-to-time. Under Sponsorship Of Puritan Lords, Gentlemen and Their Long Suffering Wives. Stormy clouds a-brewing over New England? I worked at a boatyard in Old Saybrook where the local guys called the enclave "Fezziwick". Thanks for the photos. Looks very special. Thank you for this lovely tour, through time and memories, so precious. It took my breath away, warmed my heart, and left me grateful for my childhood and memories. This is a lovely tour of a place I've never been. What is so pleasing to me about those old shingled homes is that they include large porches so that everyone can sit beneath a roof and enjoy the feel of outdoors. It's the best way to watch a storm come in. I have really come to despise decks. Such a lovely tour of architecture. One of the most beautiful things about our country is the rich history and varied peoples with their culture.